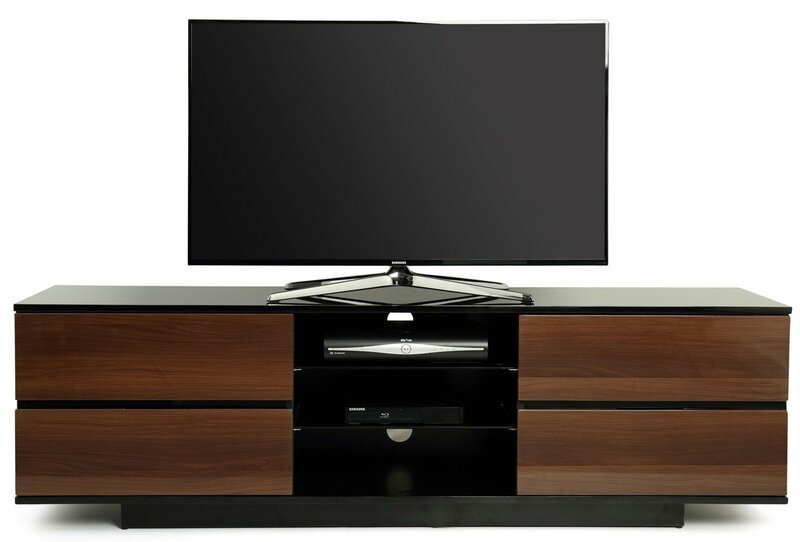 The Avitus is an ideal TV cabinet for LED, LCD, OLED and Plasma screens and provides functional storage. 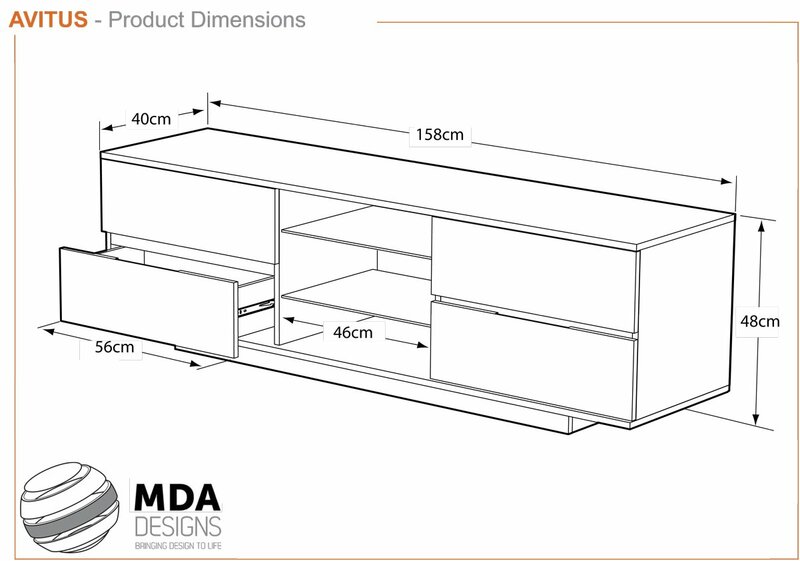 At 158cm wide, the Avitus is suitable to support TVs from 32" to 65". The Avitus has a modern and contemporary design, featuring 2 glass shelves and four media drawers, finished in high gloss piano black and walnut with a black base. Would definitely recommend this tv unit. Quite easy to assemble ( second person makes it easier ) Easily accommodates the 65inch tv it was bought for. Not just a stand though it is an attractive looking piece of furniture also. Really pleased with my purchase.